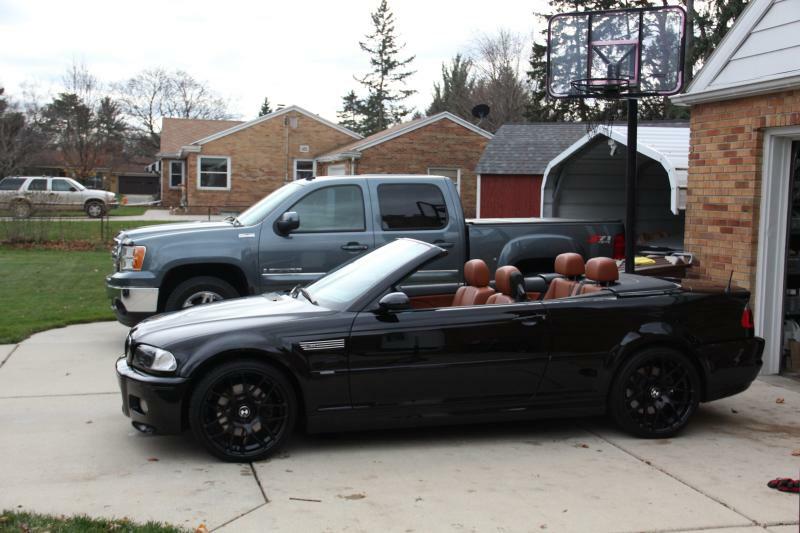 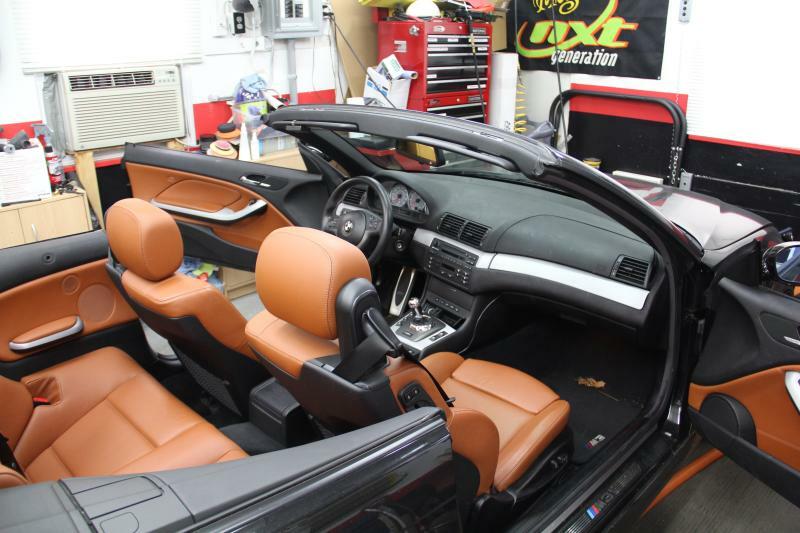 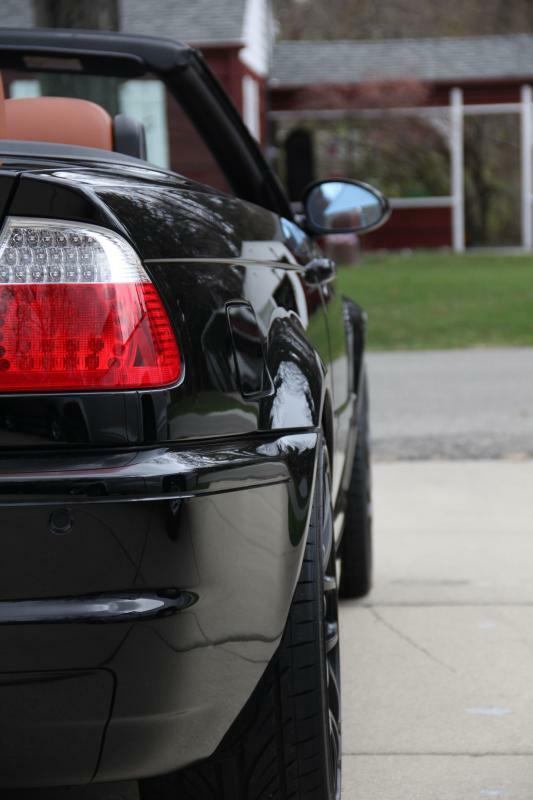 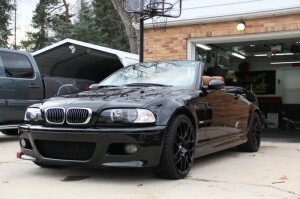 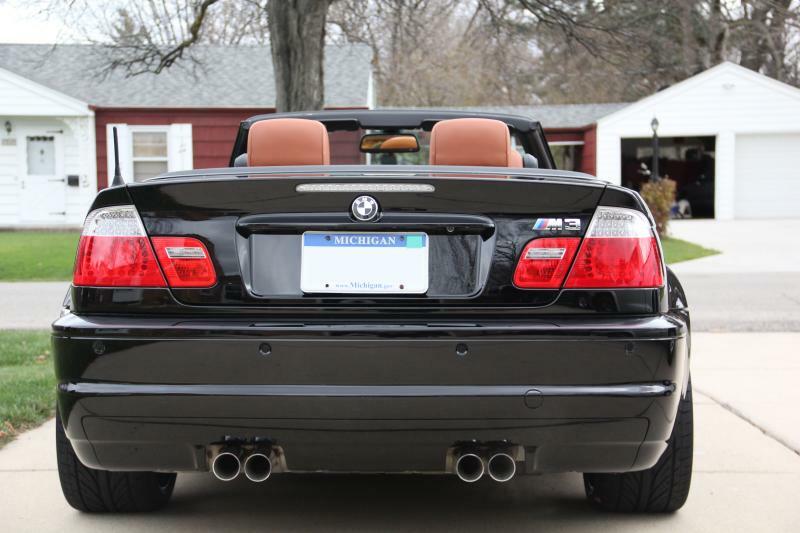 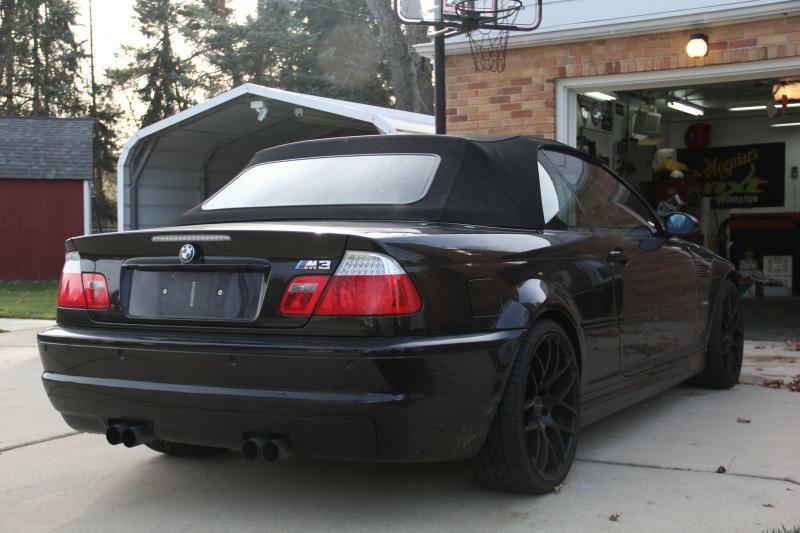 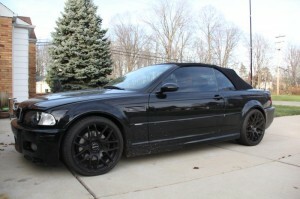 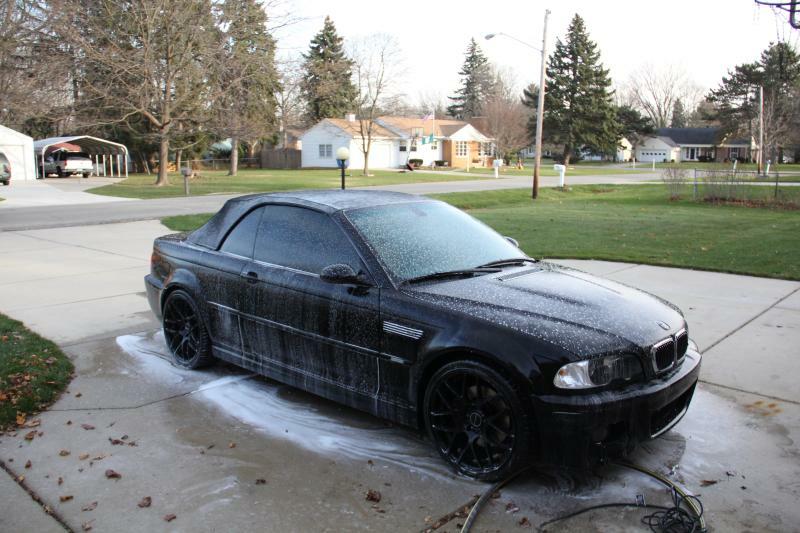 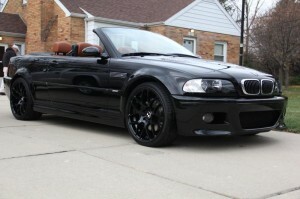 The owner of this 2005 BMW M3 Convertible contacted me a couple weeks back about getting it detailed before it goes into winter hibernation. 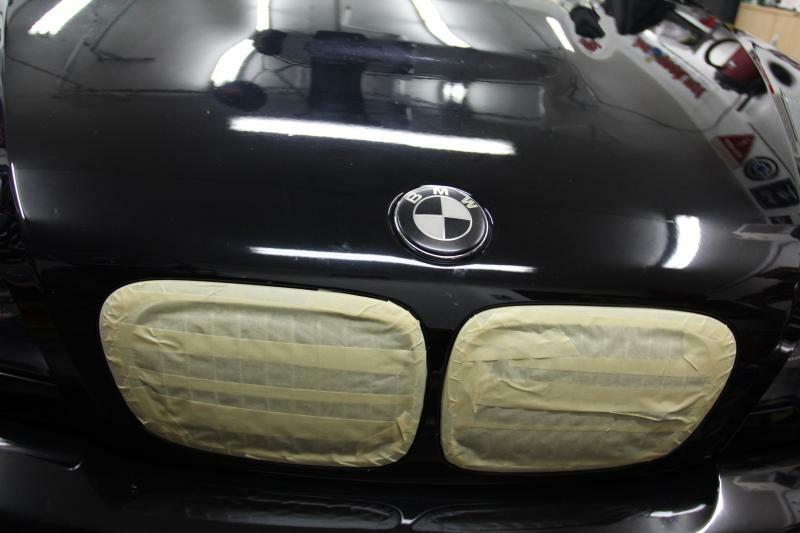 Unfortunately he does not have a garage, so the car lives outside 24×7 and as a business owner, he has little time to do a lot of maintenance. 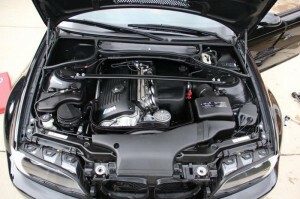 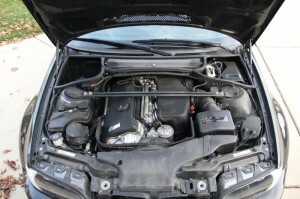 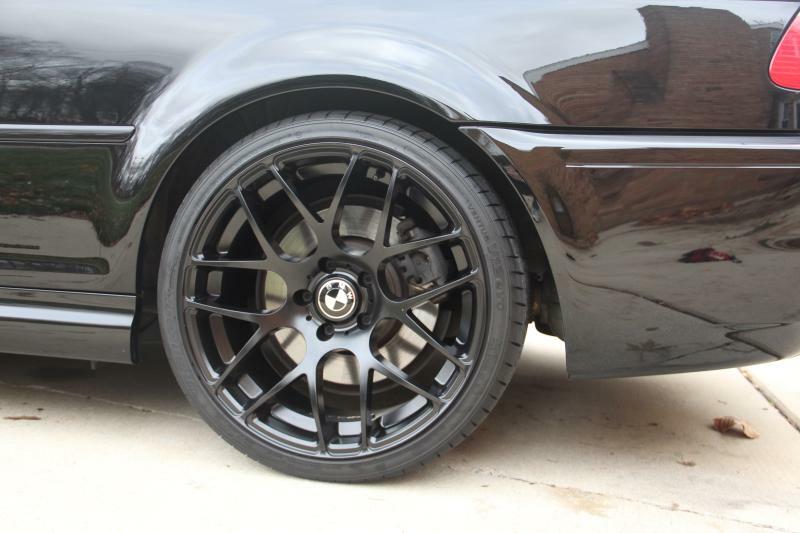 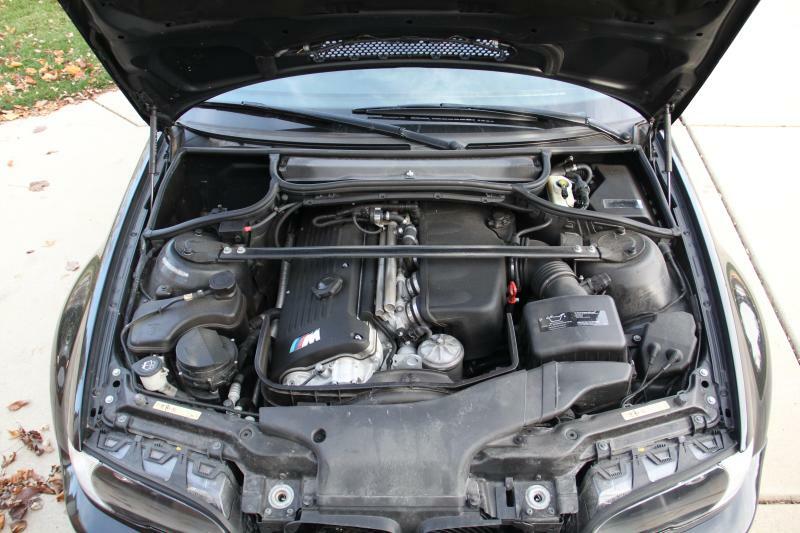 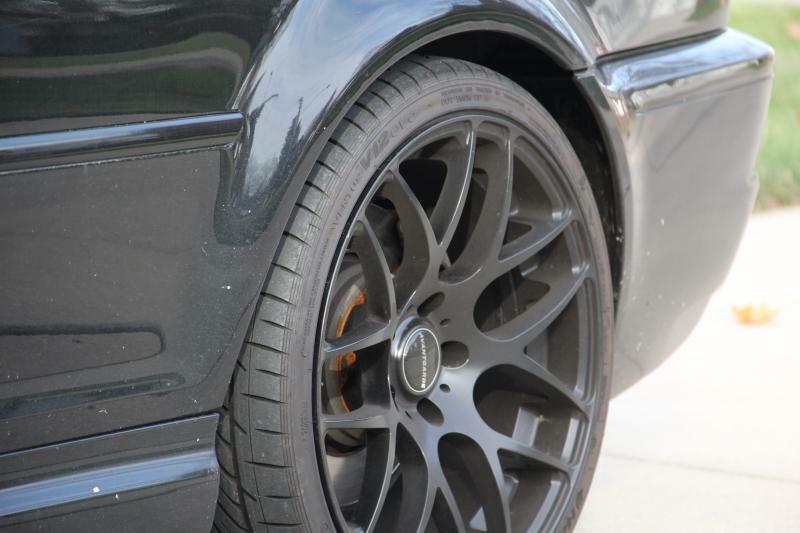 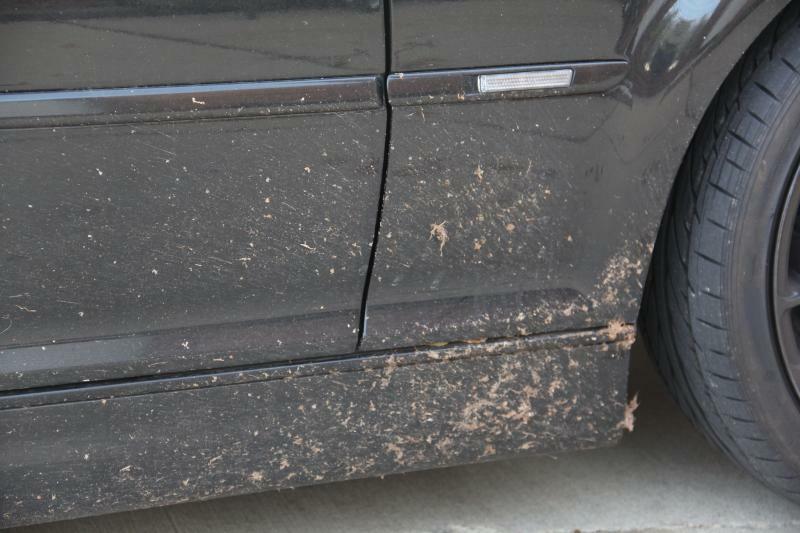 Since this car is finished in the dreaded Jet Black, these conditions have taken their toll on the car over time, in spite of the low 31,000 miles on its odometer. 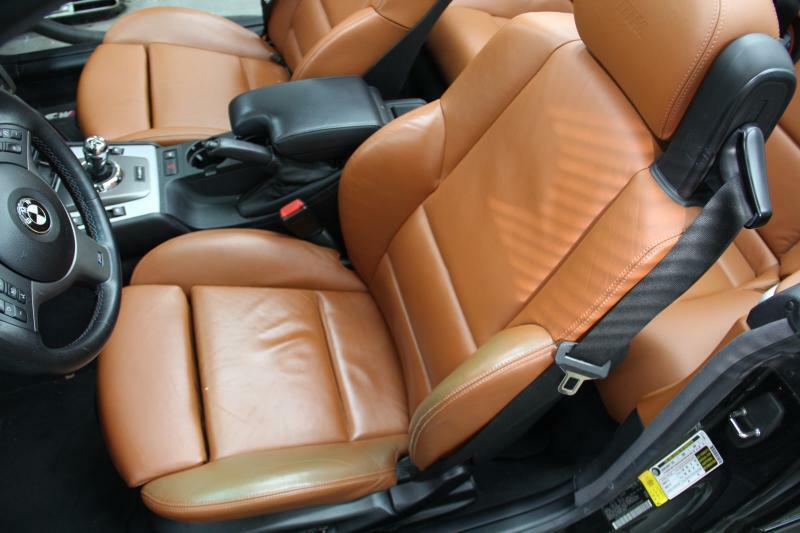 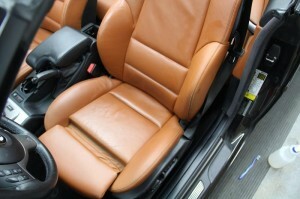 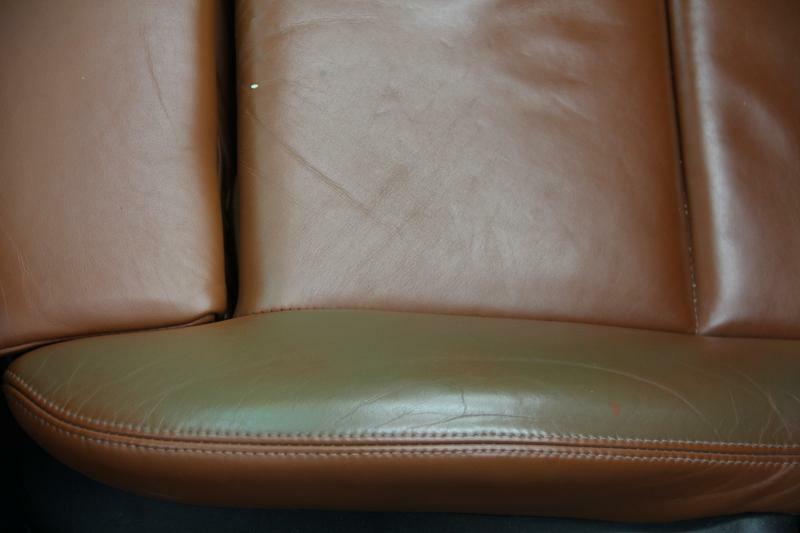 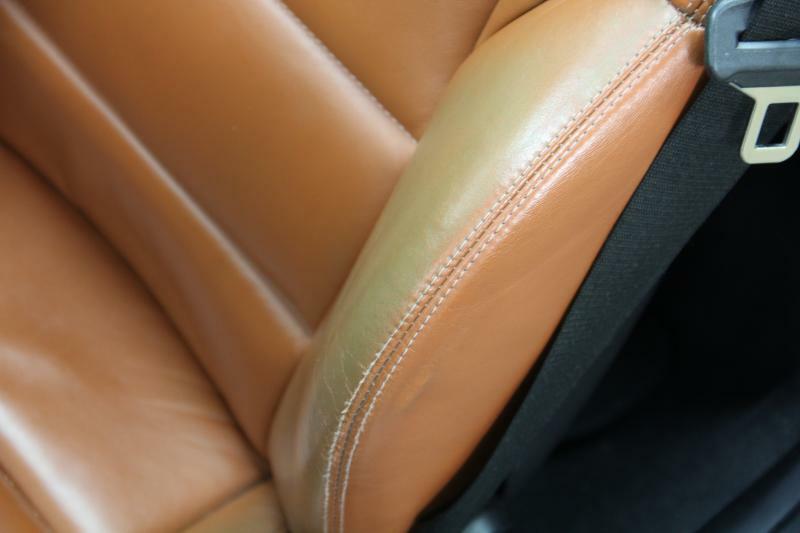 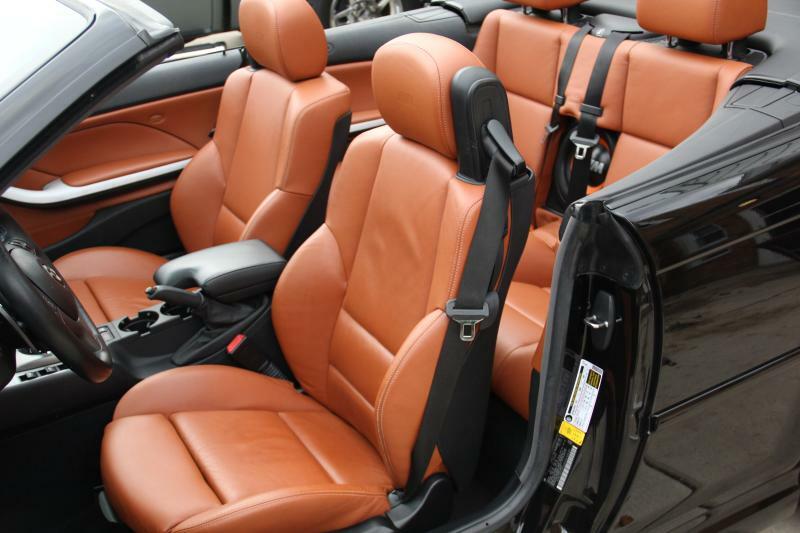 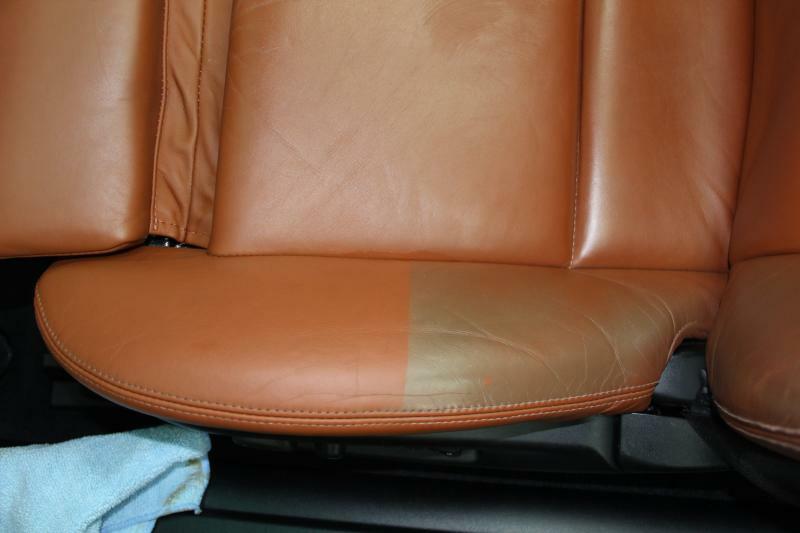 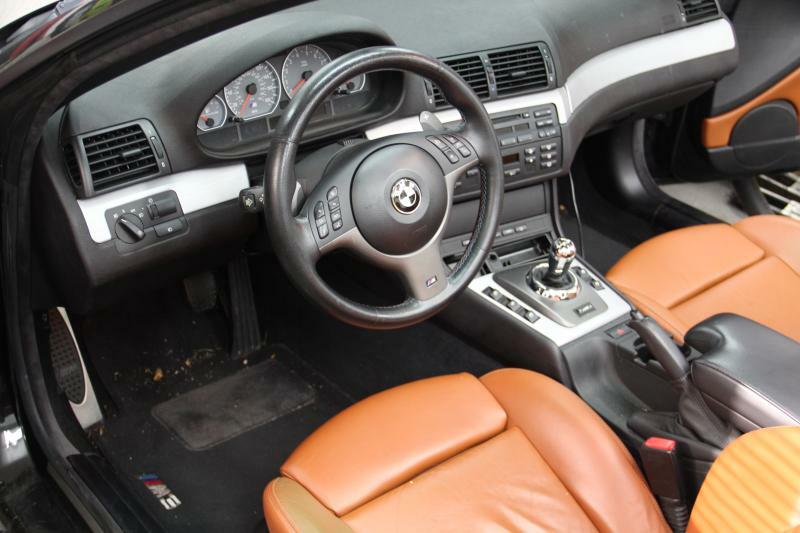 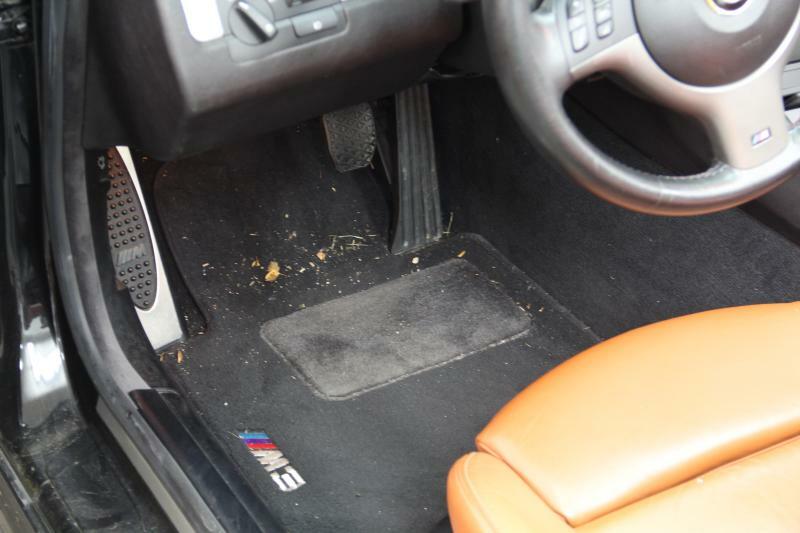 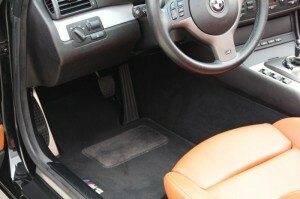 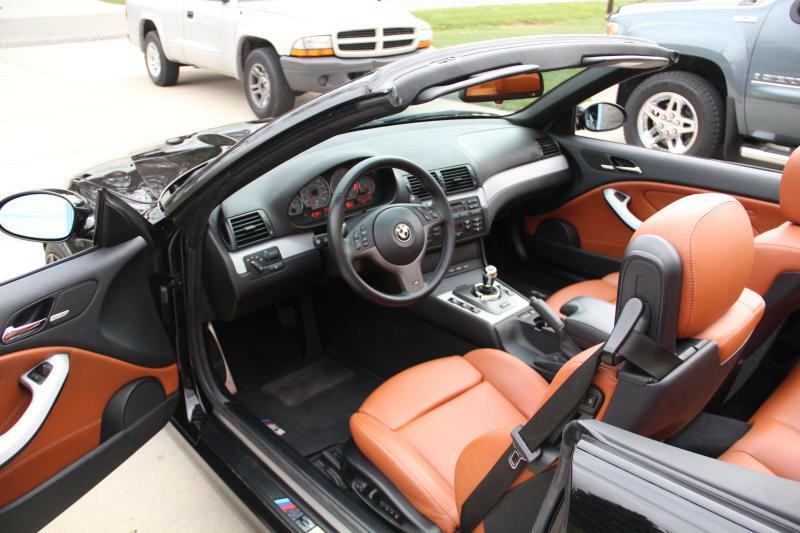 The remainder of the interior was steam cleaned and then wiped down with Optimum’s Opti-Clean at 3:1 dilution, and all leather was conditioned with Zaino Z10 leather conditioner. No deep shampooing of the carpets was required, so they were just freshened up with the steamer. Now, it’s time for the main event: The Exterior. 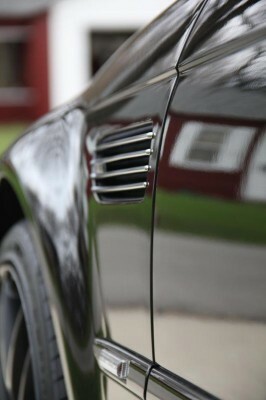 With the car clean, clayed with Clay Magic Blue, and dried, it was brought back into the shop for inspection. 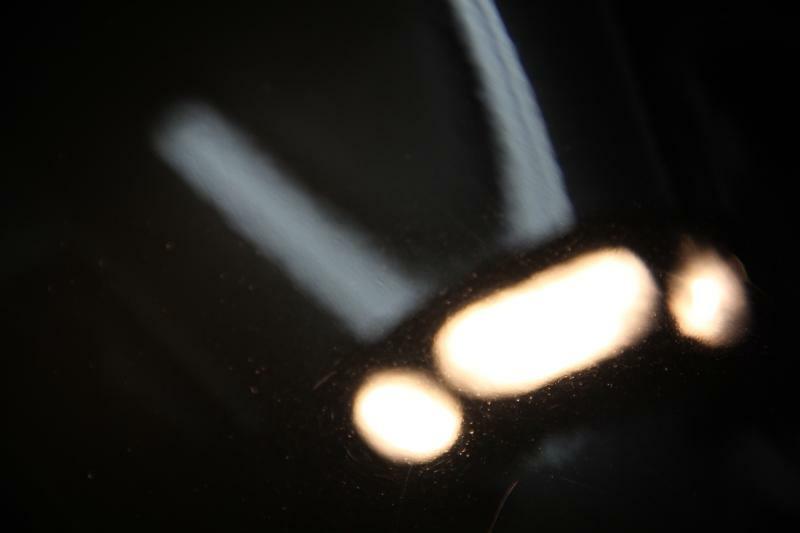 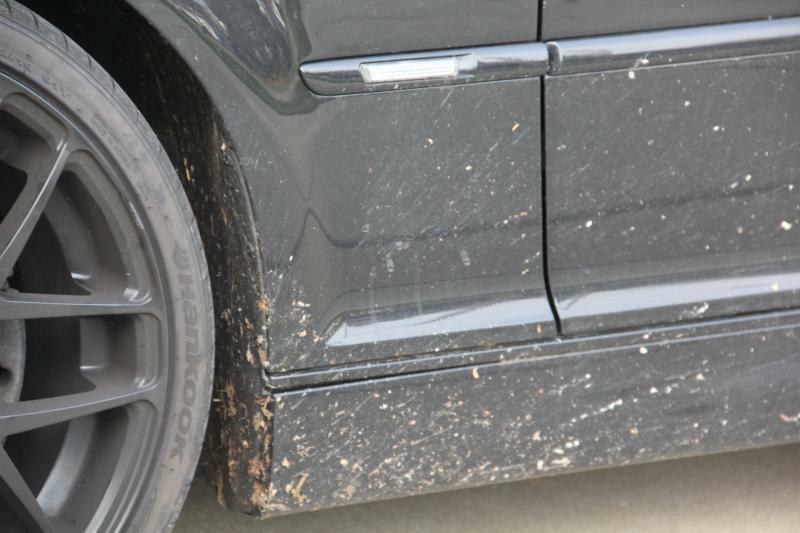 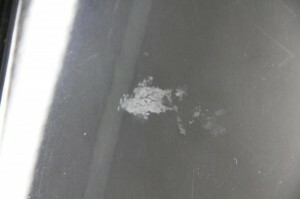 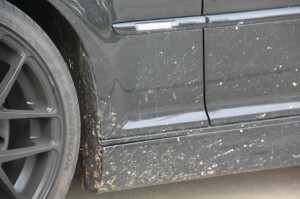 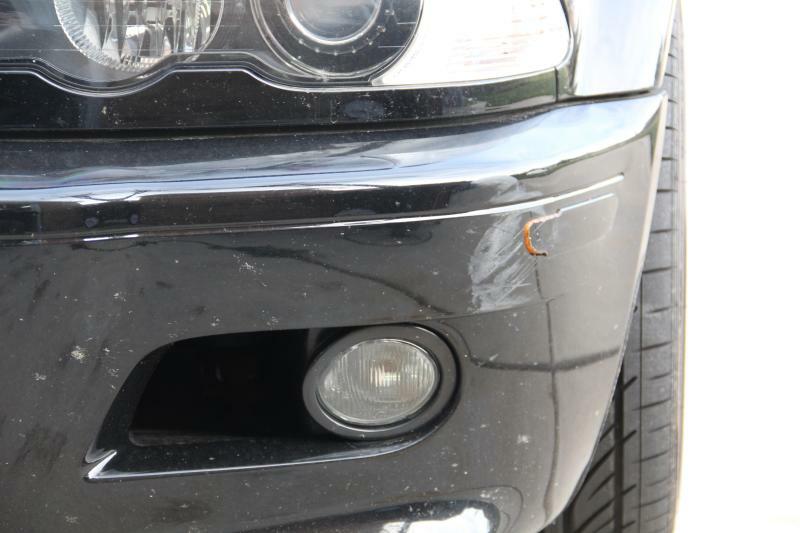 Several etched areas from water spotting and bird droppings were found, along with scratches and a generally hazy appearance over much of the car, especially on the hood and trunk. 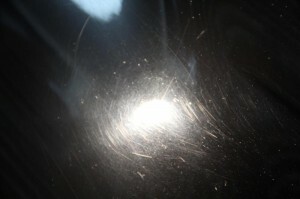 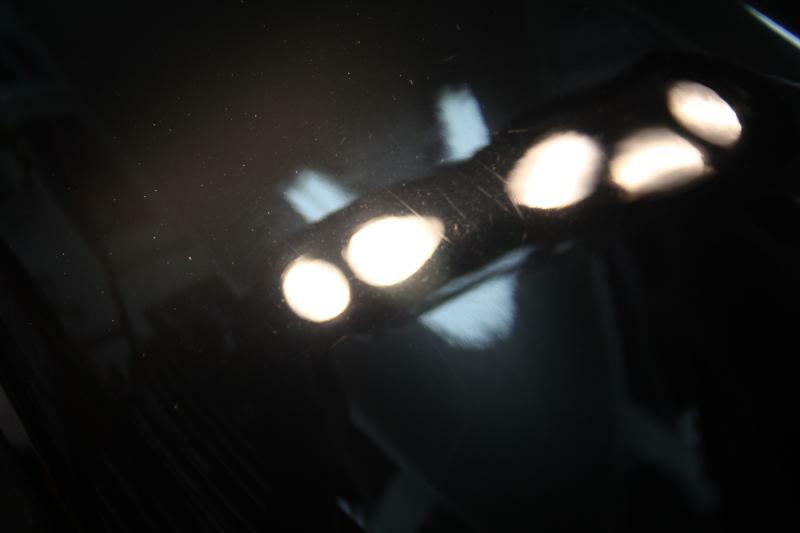 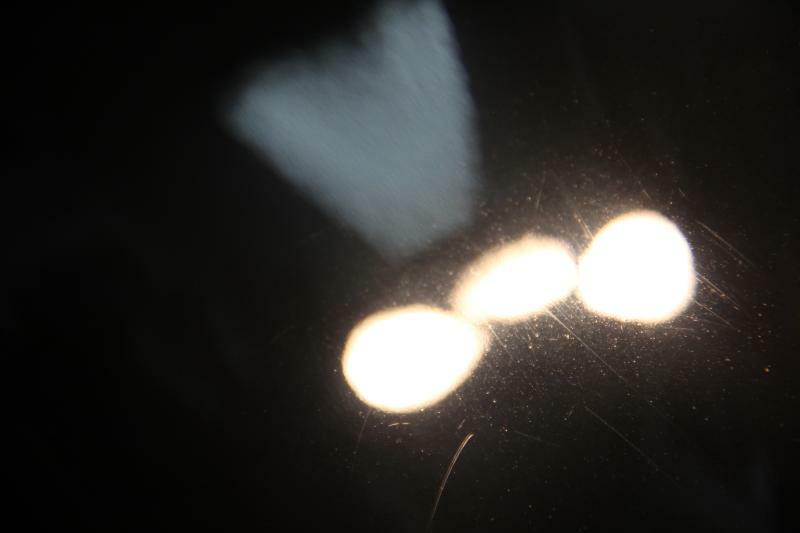 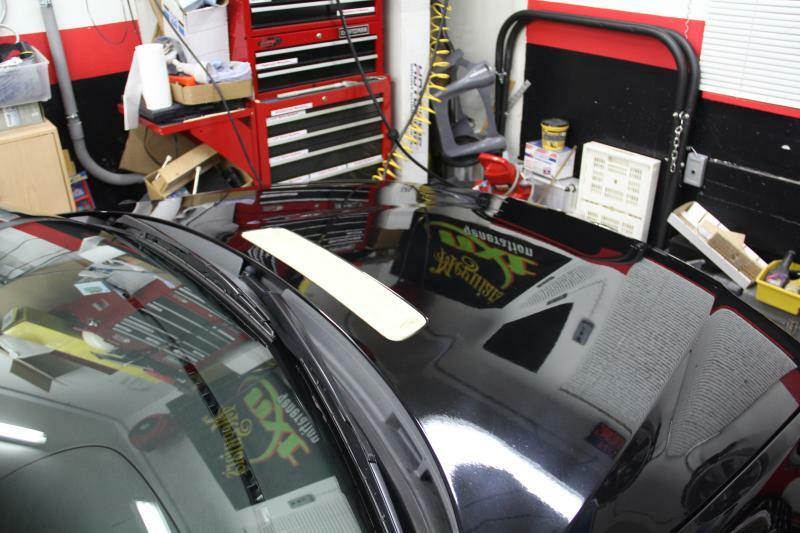 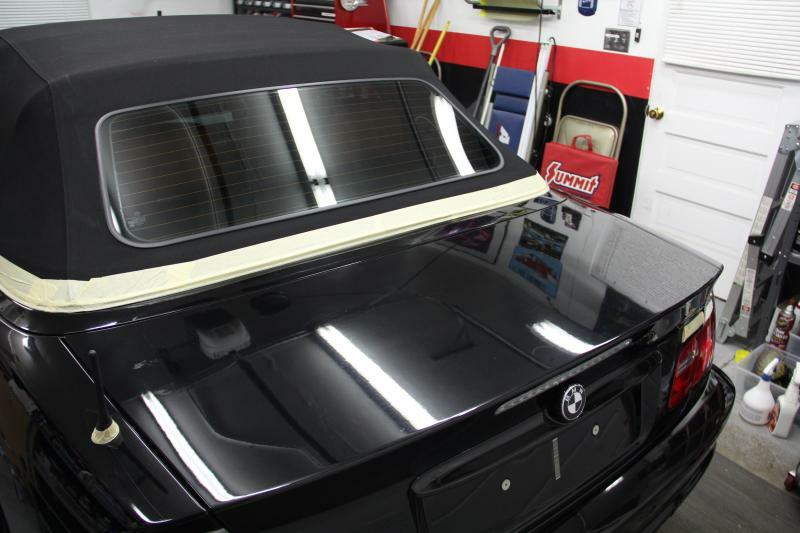 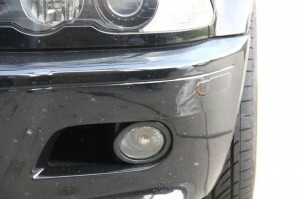 Given that this car is going to continue living outdoors for the time being, we weren’t going for a full correction; however three buffing steps were required to bring the car up to an acceptable level suitable for application of Opti-Coat to make maximize protection and minimize the further impact of environmental exposure.